No doubt: Catfish crowds are the best in town! We were so happy to welcome back so many of our regulars on this fine August afternoon. Rain earlier in the week cooled down temperatures and we enjoyed another great show that a break from record summer heat – and some tasty homemade sangria – made even better. 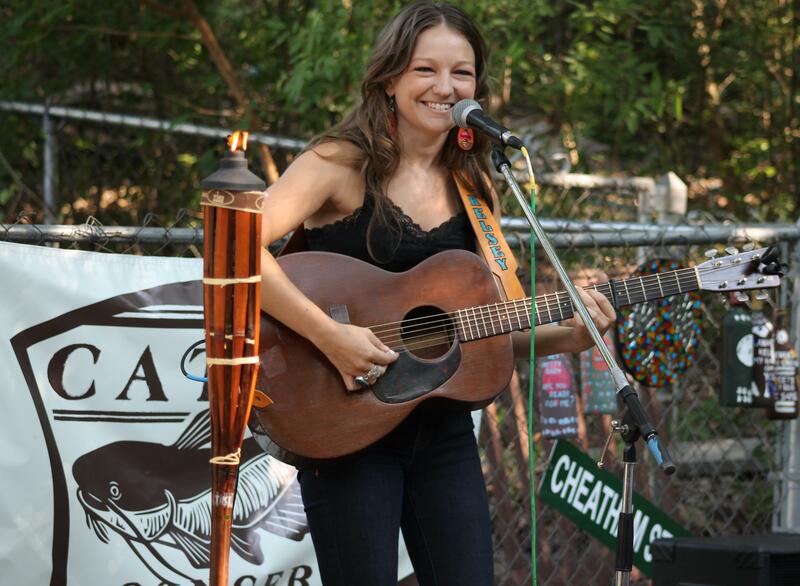 Kelsey Waldon kicked off the show with a set chock-full of musical gems! Keep an eye out for Kelsey’s debut full-length album, which she’s currently finishing off. Our crowd hung on every word as Kelsey played songs new (“Goldmine”) and old (“Fixin’ It Up, Mama,” from her 2012 EP Fixin’ It Up). We could’ve heard a pin drop during her beautiful “To Live Is To Fly,” a popular Townes cover at Catfish. 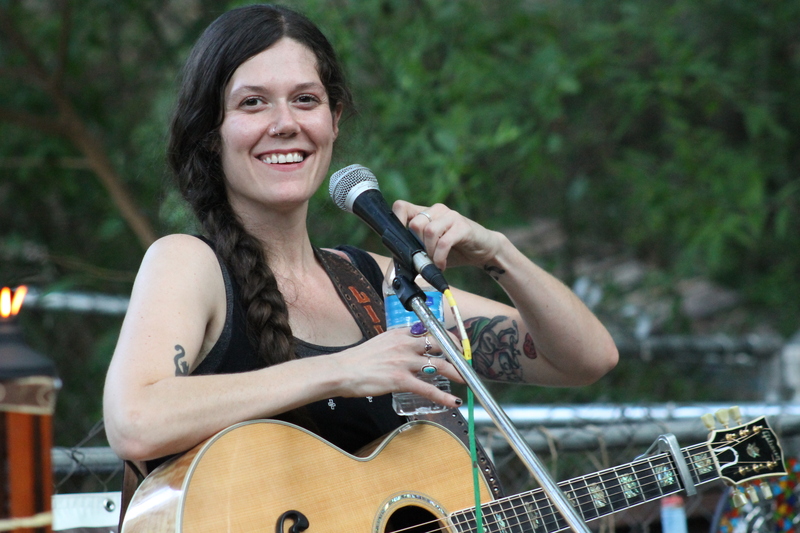 Lilly Hiatt closed the show with originals that brought to mind Patty Griffin and John Prine (particularly on her excellent “Championship Fighter” and “Master”). Lilly delighted our crowd with her sweet stories and easy humor. “My dad always fusses, ‘Take a minute to tune it,'” she said slyly, doing her best John Hiatt imitation, “but he’s a nice guy. 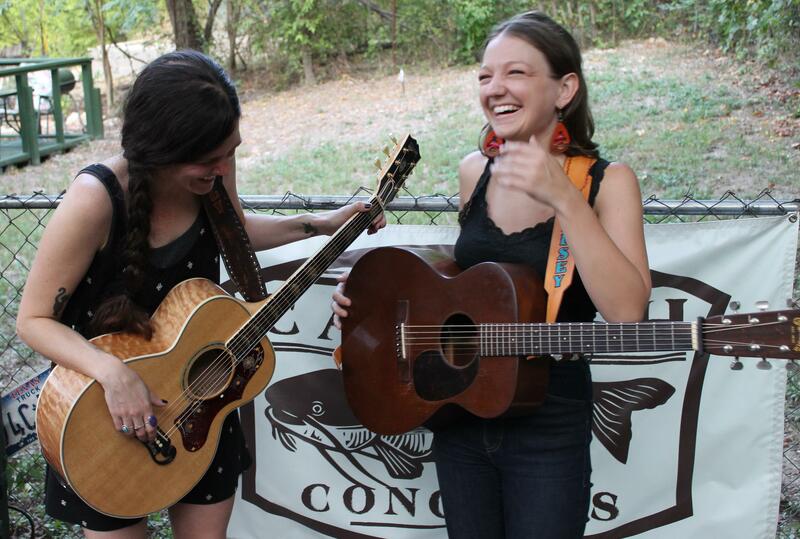 Really!” Lilly, who never plays cover songs live, indulged us with an energetic version of “Loretta” and treated us to a rare sneak peek of new unrecorded songs. Our next show’s right around the corner: The legendary Jon Dee Graham on September 5. Hope to see everyone at his special Thursday evening gig!